The trip started 16,085 days ago. June 17, 1974 to be exact. It ended Friday afternoon. The goal was to become a hockey writer. Ultimately, the best damn hockey writer ever to cover the sport. I knew I would make it big. After all, I had just graduated The U with a degree in journalism and a resume that included being the sports editor, executive sports editor and ultimately editor-in-chief of The Miami Hurricane, consistently and in spite of me, voted year-in-and-year-out as one of the top ten best college newspapers in the country. While in school, because I knew I would be covering hockey games in Montreal and Quebec City, I took seven semesters of college French. I even passed four of them. Ou est la bibliotheque? I also interned in the public relations department of the Miami Dolphins during the unbeaten championship season of 1972. I stapled together the best press releases of anyone in the league. And if that wasn’t enough of resume to get me in the door of a major metropolitan daily newspaper, I was also extremely arrogant and cocky for a twenty-two year old. I had it all going for me. But nobody wanted me. Not the New York Times or Daily News or Post or Newsday. Not even the hometown failing Long Island Press. I felt as worthless as Pat Paulsen running for president. It was like taking a puck in the shin. Or somewhere worse. So I stayed in hockey-less Miami and ultimately settled for an entry level position at the Coral Gables Times-Guide, a suburban newspaper in the Knight Ridder chain. It was like playing AA ball, hoping someone in the bigs noticed me. I didn’t want to be there and I didn’t last very long. I was a general news reporter and I think I also had the title of sports editor. Maybe I’m making that up but since nobody really cares, let’s say I did. I worked for a real mean editor. John Sugg wanted real news, none of this fake stuff of today. Clearly he was old school, when all school was old. He probably knew what he was doing but I wanted to be lazy and he wouldn’t let me. Mean John Sugg. After a couple of months covering city hall, high school football practices and neighborhood kids as they channeled their inner Evel Knievel by jumping milk cartons on bicycles, I knew this gig would be shorter than Nancy Pelosi lunching in the Republican cafeteria. Plus there was no hockey in South Florida. You had a better shot back then of finding a beach in Des Moines than a ice rink in Boca Raton. A couple of months later in September of 1974 Lew Matusow, a Miami classmate who is still a close friend today, told me about an opening for a director of publicity twenty miles up the interstate at the Hollywood Greyhound Track. It was a seven month job at $1,000 a month, about the same I was making for twelve months covering soap box derbies at the newspaper. The job was right in my wheelhouse. I think I accepted it before it was offered. I might have majored in communications at Miami and my minor was listed as psychology, but actually I did most of my after-class research at Hialeah or Tropical Park horse tracks in the afternoon and Miami Jai-Alai, Biscayne or Flagler dog tracks at night. This Hollywood gig was an open-netter for me. 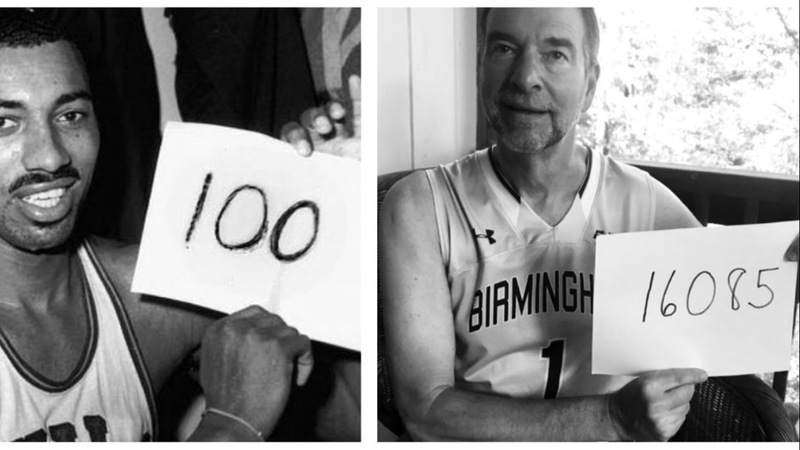 Wilt and me — a legend, a hack and our milestone accomplishments. I was probably too young to appreciate it then but the job was the perfect set- up for my burgeoning non-hockey journalistic career. I was twenty-two years old and the next youngest in Hollywood Greyhound Track management was fifty. And it played out swimmingly—after seven years, at the age of twenty-nine, I became the number two guy in arguably one of the top and most respected pari-mutuel racetracks in the country. A year later, in 1981, some unsavory characters bought Hollywood and promised me the coveted top job if I would tell them that my mentor, who ironically at the time was probably younger than I am today, was over-the-hill. I refused because he wasn’t, and two years later, in 1983, I was shoved out and became the youngest general manager of a racetrack in the country way out West in Tucson, Arizona at the tender age of thirty-one. I was an East coast Yankee in the land of cowboys and injuns. Not that there’s anything wrong with that. Tucson truly is the land of manyana. Nobody is in a rush to do anything. On a typical Tuesday, I was forging ahead like it was Wednesday while my staff was in Monday mode. It was never going to work. Plus it was so friggin hot there in the summer that if you dropped a dime on the pavement in June, you’d want to wait until at least September to pick it up. I knew I was biding time for something bigger. A couple of years after arriving in the desert I got two phone calls almost simultaneously: one came from a colleague, Gary Selesner, who I had known from gaming industry seminars and had just taken the position as PR director at Harvey’s Hotel and Casino in Lake Tahoe, NV. He wanted me to join his staff. The other call was from a search firm looking for a general manager for a new greyhound track opening in Dubuque, Iowa of all places. My business dream, even then, was to be able to open and staff an operation from the ground up. I looked at a map and took the Dubuque opportunity. Today Gary is the president of Caesar’s Palace in Las Vegas. That’s okay, no second thoughts. We both got to Caesar’s; Gary in the executive suite, while I have eaten lunch a couple of times in the hotel’s coffee shop. Dubuque, Iowa was never anyone’s dream unless you were raised in Cascade, Iowa. When we got there in 1985 it was a community of 75,000, that only four years earlier had the highest unemployment rate in the country— 23%. There were twenty-one Jews in town; with a wife and two kids in tow, we swelled that number to twenty-five, the same as a big league baseball roster. There were eighteen African-Americans. Dubuque homeowners mortgaged the racetrack with their property tax dollars. I was thirty-three and couldn’t appreciate the amount of pressure that was on us. We assembled a staff second to none in the country. Professionally we were a phenomenal success and took the community out of the doldrums which, even today, still carries over with economic vitality and a very positive vibe. Personally, Dubuque was also my biggest failure as my first marriage fell apart, strangely as a by-product of our professional success. With the bad comes the good— I met Andi in that gritty Mississippi River town. I left Iowa to team with Alabama developers Harold Ripps and Bert Meisler in the racing business in Kansas and Wisconsin, operating two tracks for their group while based in Wichita. I left racing in 2009. During that thirty-five year span I managed tracks in seven states and spent two years as president of the industry’s national association. I met some great people and at times had more fun than should have been legal. Maybe some of it wasn’t. Today the racing industry looks a lot like the pay phone business. You may be able to find one that’s open but don’t count on Google nav to get you there. We had some great success during the good business times. I’m most proud that through the years eight members of my staff, whom I recruited, went on to become either VP’s or general managers of their own operations. Twenty years ago in 1998, Mr. Ripps and J.W. Nall, a southern gentleman, purchased an air medical assistance company called Medjet. They asked me to run it for them. I had no idea what it was or what to do with it. Still overseeing a track in Wisconsin, under the expert guidance of GM Bill Apgar, I wasn’t in Kansas anymore and moved to Birmingham. I kept a toe in the racetrack game for another eleven years while putting the nine others into developing Medjet. With Ripps and Nall we had four other great partners— his son Wally Nall, Mat Whatley, Mike Hallman and Bob Reich— who all helped make Medjet the premier travel assistance program in the country. Tomorrow, Mr. Hallman succeeds me as Medjet President/CEO. I am delighted. So that’s it for me. 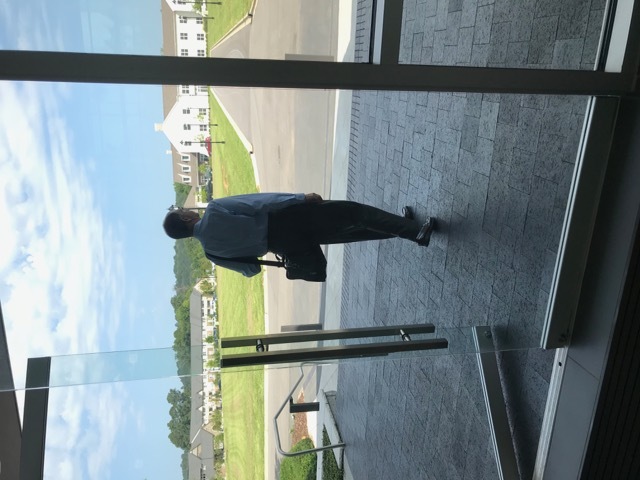 Forty-four years and two weeks later, on Friday afternoon, I walked out the career door and I won’t look back on my decision. My dear friend from from way back in the 70s, Dan Luciano, told me when you retire, “every day is Saturday, except for Sunday.” I hope he’s right, Saturday is my favorite day of the week. I really had a great, fun and fulfilling 16,085 days of a career. What’s next? I have no idea. My first plan— to sleep this morning until 6 am— already failed. I got up at 5:15. I am really looking forward to doing nothing on Monday and hope by Tuesday afternoon I won’t be facing a homicidal spouse. Sometime this summer Andi, Ibis, Deuce and me will hop into the Jeep, make like the Griswold’s and head West to our own Wally World, a new home a little north of Vegas in Summerlin where, like Tucson, you don’t dare pick that dime up off the pavement until the fall. And as a bonus, for the first time since I left New York in 1970, except for a five month career sentence in Boston in 1990, I will be moving to a community that has a professional hockey team, the Vegas Golden Knights. That’s the good news. The bad news is, all these years later, I’ve still never covered a hockey game. Takes some adjusting, just a little, and you will enjoy this chapter like none other. Love to Andi, from the swamp. An amazing career condensed so well. Couldn’t have been done if it wasn’t true. Well done Roy, It was a pleasure (most of the time) holding onto your shirttails. And for a distance relationship to have survived is another mark of your great abilities. Have a long and happy retirement and DONT drive Andi nuts. BC. Congratulations Roy! I’m looking forward to some new Vegas blogs….Enjoy! Congratulations and best wishes on your next venture in life. God bless you! I have no doubts my friend that you will involved in management for the hockey team. Congratulations Roy!! Enjoy your new way of life, you deserve it! Always remember the impact that you had on everyone in Dubuque! Best wishes Pal! 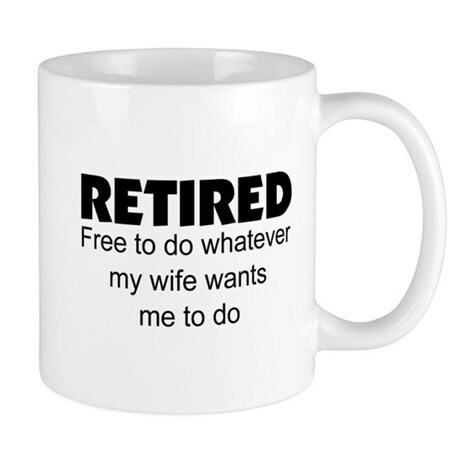 Congratulations on your retirement. Onward and upward! Congrats on stellar career. Now who is going to step up and organize the betting/determine the over/under for how long it takes Roy to find another activity when he gets to Vegas? Great career, Roy! I’m sure Vegas will never be the same again! I look forward to seeing you soon.